Doppler has turned his back on modern living and after falling off his bike and a bump to the head; he takes a tent and makes a home in the local forest. No more sleepless nights over bathroom paint colours or toilet designs, he’s realised it’s all incredibly pointless and vows to live off the land and survive by bartering for goods. After three days of no food, he stalks a kills an elk. Not just any elk but a mother elk, leaving Doppler with her young offspring. It follows him everywhere, Doppler tries ignoring it even tries killing it but eventually he gives into the fact that this baby elk is going to be his new best friend. This heartwarming story of middle-aged, Norwegian self-discovery is both brilliantly funny and beautifully poignant. 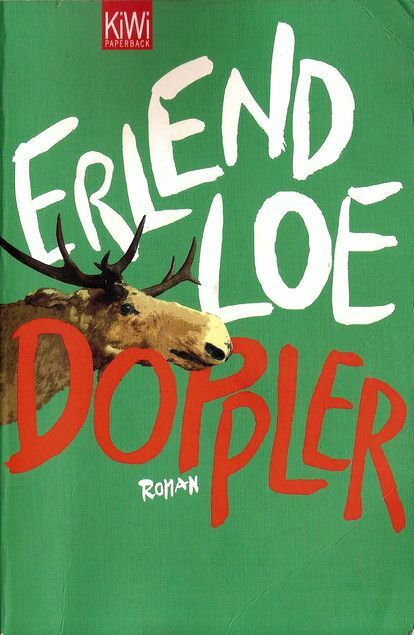 You end up completely torn between loving Doppler and being angered by his selfishness, unsure if he’s found his true path or lost a couple of marbles. His nearest and dearest also seem to struggle with these opinions but what starts as a solo mission, ends up capturing the imagination of the men around him, introducing some more brilliantly quirky, yet equally lost characters. Is it very easy to see why the novel has already been so incredibly popular in Norway and it deserves to be just as popular over here.